There are things you can do, like enabling our free Whois Privacy Service for your domains, and don’t publish your email address on web pages that can be easily read. Box Trapper (requires combined Web and Email Hosting to be on the same server). Box Trapper uses a white list for contacts known to your email account, and will challenge mail from unknown sources to confirm the email is coming from a human. Spam Assassin. Spam Assassin scans email and puts new headers in the email, and replaces the body. The spam becomes an attachment. Details at this link. 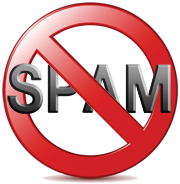 Filtering for known patterns in the subject of spam you receive is one of the more effective techniques to fight spam. It’s a little time intensive, as whenever you suspect a new pattern of spam is coming in, you’ll want to add a filter for it. Good news is, once added, no spam matching your patter will get through to your Inbox again! This entry was posted on Tuesday, December 24th, 2013 at 9:01 pm	and is filed under Email Hosting. You can follow any responses to this entry through the RSS 2.0 feed. You can leave a response, or trackback from your own site. Good post. I learn something new and challenging on sites I stumblwupon everyday. and use a little sommething from their websites.